Charge your iPad, tablets, or other USB device with these convenient wall chargers. 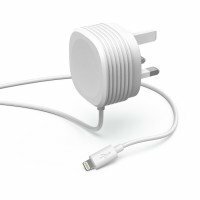 These chargers featured on this page will typically plug into any wall socket and charge your devices much faster than traditional chargers. Easy to use, simply connect your device to the port in the plug, we have chargers suitable for international travel as well as UK use. Check out the full range and order today to take advantage of our low prices and fast UK delivery.